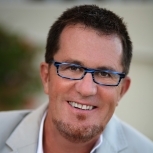 Peter Walsh is an Australian-American professional organizer, writer, and media personality. Walsh became an American citizen in 2002, and has dual citizenship. He lives in Los Angeles.